Time Tested Options Trading Rules That Make Money – We trade stock options using time test trading alerts rules that take investment profits and keep you in profitable trades to make more money. When trades do not work we get out of losing trades fast to protect and preserve your investment capital. 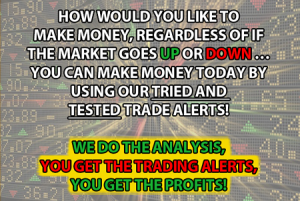 Why Offer This Done For You Options Trading Alerts Service At Such A Low Rate – We trade actively for our own accounts. So it is minimum extra work for us to send alerts when we make the trades. Our goal is to help small investors with limited knowledge make money and build up their savings and assets. We are here to prove to the investing world that Options Trading Done Right Will Make Money For Anyone. Plus while these rates can be locked in for as long as you like today, once we gain national exposure and credit for our options trading alerts service stock options trading system that makes money. We will have to raise membership rates SIGNIFICANTLY. Subscriber Members TEXTING SERVICE TO RECEIVE ALL UPDATES. This table summarizes the options trading service text message options trade alerts subscription service performance. The options trading system that makes money head trader analysis of market conditions and recent stock options trade alerts issued follows. The week itself saw several days of new all-time highs in the indexes. Even the Transports were higher on the week after flashing another Dow Theory confirmation on Wednesday. The market continues to grind higher with the default being “If they can’t take it down, they take it up.” The only problem with this is that the internals are lagging and the new high/new low numbers are showing that this market is slowing. The only issue that is clear now, as it has been for months, is the vacuum below anyone who misses numbers (often already reduced) or gives poor forward guidance. It is not the least bit unusual to see drops of 10, 15 or 25% at the open for these sins. The cross currents continue with the US$ slightly higher on the week with Gold and Silver also higher and Oil just slightly lower. The Copper has had a great run from $2.05 back to $2.75, but when viewed in a long term time frame is still down over 50% from its 2011 highs of over $4.50. If we do, in fact start to see more strong economic numbers, the metals have plenty of room to run on demand for use plus inflation hedges. Since I will be traveling to Las Vegas for some meetings on Monday I am going to keep positions light until Tuesday, although I do want to get back into Kellogg (K) on any pullback and will have that order tonight. There are some pretty interesting cross currents at work here. The dollar was strong early in the week with gold moving higher and oil was lower. When the US$ gained strength on Wednesday the oil turned higher and the gold fell and then rebounded both closing at or near their highs. On to the Trump issues of the week; I think this guy needs a bit more help from his advisors. He has some excellent ideas, but they belong in the business arena and just don’t translate into the political realm as apples to apples. As I mentioned in my mid-week note, many of the unintended consequences are just not foreseeable even for the smartest and most seasoned, and frankly the business of politics is politics, not business. These are issued ingrained for a very long time and not given up easily, like term limits. I hate to use the tanker cliché, but this is a ship that is just too big and difficult to turn on a dime. As for the markets, they continue to grind higher and every day that we start off week and end with a rally back and $500MM or $1Billion to buy on the close shows the appetite for stocks. The strong US$ is a problem and the internationals can be hurt, but the strange thing about that scenario is that many are defensive stocks and as such get a lift in a weak market. Join Today to Start Getting Profits Like These. You Take and Keep Your Gains. Get the lowest full membership rates available. Now you can profit from investing trade alerts from our traders with over 75 combined years of successful investing experience. Make Money In Up Or Down Markets — Our trading alerts balanced investing strategies are designed and proven to make money in up or down markets. SAFETY – We strictly follow our Tested, Market Weathered Trading Rules that are proven time and time again to protect our (and now your) investment capital from losses while effectively allowing us to Keep The Profits We Make. So even though we trade options to get the profits you see above — We can do it with minimal risk and Maximum Profit Potential. We tell you where, when and how much to trade and you get to sit back and enjoy the rewards! The specific buy and sell trading alerts are sent directly to you by e-mail and text message. So you can get in on and cash out on our winning trades fast and at the right time. Get Started with Any Amount – Follow our recommended trading guidelines for a $10,000 portfolio or invest more or invest less — Whatever you are comfortable with. Your investment is protected because Time Tested Trading Rules PROTECT YOUR CAPITAL And KEEP YOUR PROFITS. Our Where To Invest Now For Profits In Up or Down Markets Newsletter is more compact, informative, effective and quicker to read then the major, big name publications. AND there are NO ADS to wade through. The Members Edition Newsletter is sent to you by e-mail Monday Mornings and available in the Members Area along with our archive of past issues. Head Trader, Charles Moskowitz, reviews trades made, what he is watching now, analysis of where he sees things going and where to investing now in the coming week. See where we are invested and our performance for the week. This includes trading tables and positions showing profits and losses for the week. The Market Laboratory table provides a fast overview guide, giving our readers a great analysis of market sentiment and the general prevailing attitude of investors. This continues to be a strong, solid indicator of where to invest now. We cover both a $10,000 trading portfolio and a $100,000 trading portfolio. These benchmark levels provide a guideline, enabling our members to scale their investment level amounts up or down depending on the capital they have and are comfortable investing. See coverage of the undervalued, small cap, lower priced stocks we follow. These companies have innovative, life enhancing technologies. They possess the potential to produce significant price upward swings, giving investors big profit returns. We use fundamental analysis we select top stocks to buy now. Buying these stocks while using stops to protect capital, continues to produce solid, strong profits for us. See this week’s coming earnings report and economics information. This information provides a tremendous advantage in pin pointing stocks that can perform or drop due to earnings reports. The economic data keeps us up to date on the most important daily where to invest now information coming out. 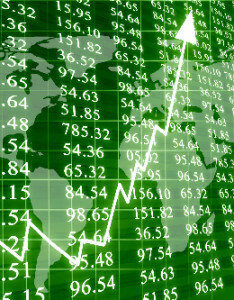 Fundamental analysis of industries, top stocks, the economy and the markets together with US and World events provides great insight into where the next investment winners will be. Our in-depth analysis of current economic data projects where the economy and the market is going showing us which sectors and companies in them are the strongest investments now. Our in-depth analysis of market cycles, which are known among top traders as “The Key To Maximum Returns”. This daily Calendar of Market and Economic Events quickly shows, at a glance, important economic, market and trading events for the month.